Video marketing is the best way to reach people across different platforms on the web. Marketers and advertisers are equipping their strategies with the video as the primary medium for their advertising and reaching the people. Today they are utilizing the personalized video in the video marketing which was reaping real benefits to the marketers and advertisers to build a loyal audience to their brands or companies. 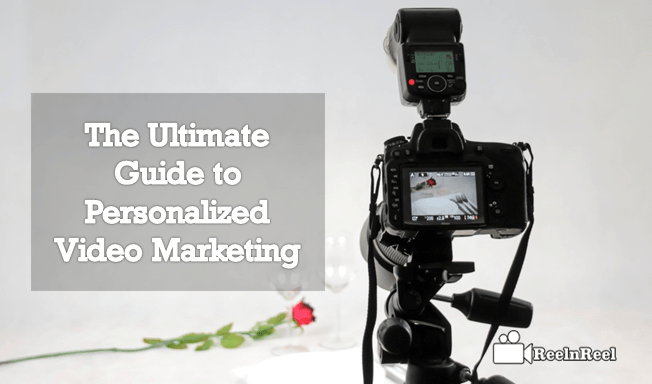 How to use personalized video marketing? How personalization of video works? • Personalized video marketing is marketing the content to the recipient or audience or customers basing on their interests and needs is nothing but personalized marketing. • It also includes sending a personalized e-mail including a personalized video message that was designed specially for the recipient of the said email. • The personalized video marketing goes instead of one video fit for all policy. It is all about creating the new that too personalized one for the targeted audience. A personalized video content must deliver a compelling and relevant message to the individuals at the right time along with the best promotion of their services without over-promoting the business. • A personalized video marketing will help you to make your targeted audience feel special about your brand or business. • We are living in the busiest world and people will attract and be attentive to someone who will identify them personally and it means a lot to them. • It helps you to promote your business in a different way and keeps you stand out from the crowded businesses online. • It helps you to get loyal customers and improve your sales potential. There are several ways to utilize the personalized video in your marketing and advertising strategies. • Attract audience by including the name and make them as a part of your story. • Personalize the video content and engage at least 100 viewers and increase the scale. • By using this strategy, you can earn more audience to your video campaign and helps you to get succeed. • You can also utilize the personalization strategy in creating the explainer videos. • Include the viewer’s logo or job title and let them get noticed. It improves the video watch time. • Let your audience feel that you are specially designed or curated the specific content exclusively to the viewer. • Add the viewer name, company and the details about his/her job title in the first screen of the webinar you have launched about your company. • Personalize the content in your business product videos by targeting the viewers. • Send Emails that are included with the video which is personalized for the recipient. • It must be created in such a way it must satisfy the customer interests and their needs. • Companies are getting successful with the personalized video customer support to the customers. • It is very useful for the businesses to streamline the process in a right way. • It is easy to understand in different customer communication procedures to the businesses. • By providing the personalized experience in the service, businesses can quickly get engaged with the customers approached to the business. • It also empowers the sales potential and as well as entertain the customers by delivering a new experience in the service. • You can link the marketing automation for better targeting. • By using the email address, you can pull the details of the targeted customers online. • You can check their address, website URL, Social media status and even their photograph from the social media and personalize the same video in their name. • By using the email automation platform, you can send out as many videos as you can to your targeted customers. • Each and every individual will become a prioritized customer and thus provide best customer service from your business. • Do the research, before you create the personalized video for your targeted audience. You must not get confused on details of the targeted customer. • Make sure the details are accurate and must be delivered in a right time. • Don’t make long videos when you are targeting personalized messages to your viewers or customers. • Include personalized videos in different types of approaches like product demos, live videos, customer support, email campaigns and a different kind of videos you are created for the marketing of your goods and services. • Include the lead generation forms in the personalized videos to boost your sales leads to your business. • Also, try some personalized video survey forms to your targeted customers. • The personalized video is on rising, and it was revealed that the CTR rates are increased to 1000%. • More than 300 percent conversion rate was increased by using the personalized video marketing. • Businesses are getting excellent benefits using the personalized video marketing and advertising. • 70 percent online businesses are using the personalized email marketing to promote their business online. • 53 percent online marketers are targeting the audience using the personalized social media posts across different social media platforms. • The personalized customer services are bringing positive reviews to the businesses from the customers and thus connecting with the customer loyalty. Finally, read the above guide to get good knowledge on personalized video marketing and the tips to succeed.